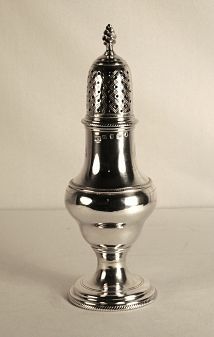 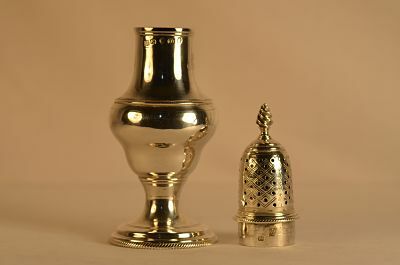 of plain baluster form with dome pull off lid and flame shaped fixed finial, displaying a gadrooned waist, base and rim. 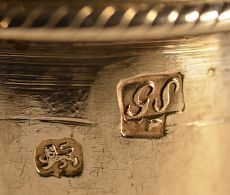 A full set of hallmarks are exhibited on the upper body of the caster, the lion passant and maker's mark are also displayed on the rim of the lid. 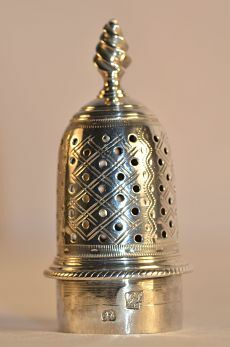 Maker : George Smith 111?